The last few weeks we have seen some rather unfortunate news hitting the headlines. The collapse of Monarch, an ever present airline at Faro airport for many years, will undoubtedly have a negative impact on the Algarve. Hopefully the routes lost by the companies collapse will be replaced quickly and efficiently causing minimal disruption to air passengers using the airport. Indeed as this article goes to press it is being reported that Faro airport welcomed 3.5 million passengers this summer up 14.1% on summer 2016. In addition to travel problems and as reported in the financial press, part of Vilamoura has been put up for sale by the American fund Lone Star. If true this will come as a major disappointment to those promised the massive €1 billion development project which would have represented one of the largest real estate developments in Portugal and provided strong backing for the Portuguese economy and the Algarve region as a whole. But what impact has the year had on the Algarve property market? As we approach the end of 2017, it is around about November time that most long established Algarve based real estate agents can start to get a clearer picture and give an accurate assessment of just how successful the year has been. We are delighted to report that with 2 months of the year still to go, 2017 has already proven to be the best year since the crash of 2008. Not only have we had a large increase in the quantity of properties and plots sold but the values invested are also up on previous years. In the Central Algarve, we are finding that detached properties are still by far the most favoured choice of property type investors are looking for making up just over 70% of our sales this year. Investment in apartments and townhouses are roughly equal and with a similar number being sold every year for the last 4 years. One area demonstrating huge improvements is the investment being made into building plots. In previous years existing villas, outside of the touristic resorts, could be bought for less money than it would be if one was to buy a plot and build a new property. 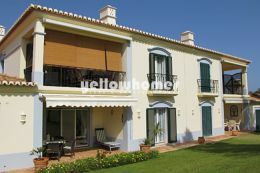 For that reason the sale of plots virtually stopped and the construction industry in the Algarve suffered badly. However, for the last few years these lower value properties have been sold, dramatically closing the price gap on buying a plot and building and making the decision to build a brand new property more appealing than any time in the previous 9 years. 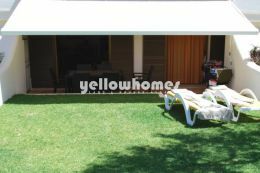 In spite of a weak Sterling the British are still leading the way in the Algarve property market making up just over 30% of our buyers from Yellowhomes this year. German, Belgian, Dutch, Swiss and Scandinavian buyers are the strongest from the many other nationalities that we have sold to. Surprisingly the quantity of French buying property and taking advantage of the Non Habitual Tax Residency scheme appears to have diminished somewhat this year probably due to renewed confidence in an improved tax system in France under the newly elected Emmanuel Macron. All this positive news on the Algarve property front means that we are more eager than ever to list quality properties or plots particularly around the areas of Loule, Almancil, Boliqueime, Vilamoura, Carvoeiro and Tavira. If you are considering selling your property or plot and would like to speak with a member of our team then please call us now on 289 301294 to make an appointment. We look forward to hearing from you soon.